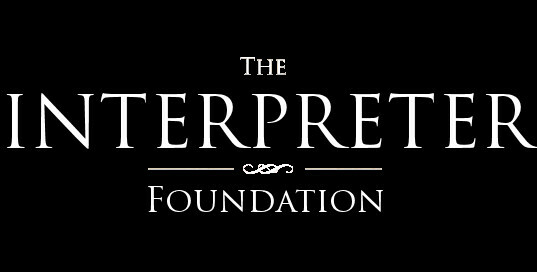 This is Scripture Roundtable 54 from The Interpreter Foundation, in which we discuss the Old Testament Gospel Doctrine Lesson #4, “Because of My Transgression My Eyes Are Opened,” focusing on scriptures in Moses 4-6, Genesis 2-3, and others, bringing in various insights to help us better understand the scriptures. These roundtables will generally follow the 2014 Gospel Doctrine schedule of scriptures, a few weeks ahead of time. Panelists for this roundtable include John Gee, Jeffrey Bradshaw, Stephen Smoot, and Craig Foster. Note: We apologize for the echo. We continue to sort through some technical challenges. I enjoyed listening to this discussion very much. Thank you for taking the time to present this. Is there any way to get the name of the Hugh Nibley book that Jeffrey Bradshaw referenced in his opening comments about Lucifer giving the fruit of the tree of knowledge to Adam and Eve? Thank you. The audio on this video is terrible. A great discussion was lost. A shame. We apologize for the audio problem. We continue to sort through technical challenges. The problematic one for the audio in this episode is Dr. Gee. He is sitting in front of a flat perpendicular reflective wall. If he used headphones or was situated in front of something that diffused sound (a bookshelf or curtains) or reflected it at an angle (corner of a room or the wall at an angle) there wouldn’t be an echo. You can tell it’s his computer’s audio at fault because there is no echo when he is speaking. Are you continuing the Gospel Doctrine interpreter roundtable discussions this year? I have not seen any lessons beyond lesson 4. I enjoyed your round-table and will be a regular follower. While preparing to teach this lesson it occurred to me that the consequences of the Transgression fit well into our male/female roles as defined in The Family–A Proclamation to the World. Namely Adam, the male or future father, will have to earn his bread by the sweat of his brow and Eve will teach her posterity about joy and pain.